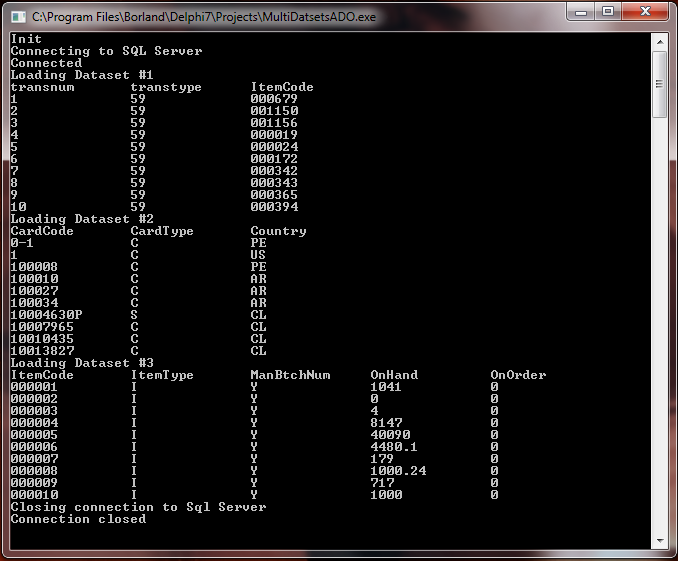 Maybe when you’ve used the SQL Server Management studio ‘ve noticed that you can run multiple queries at once. ADO supports this feature, and you can include it in your applications. 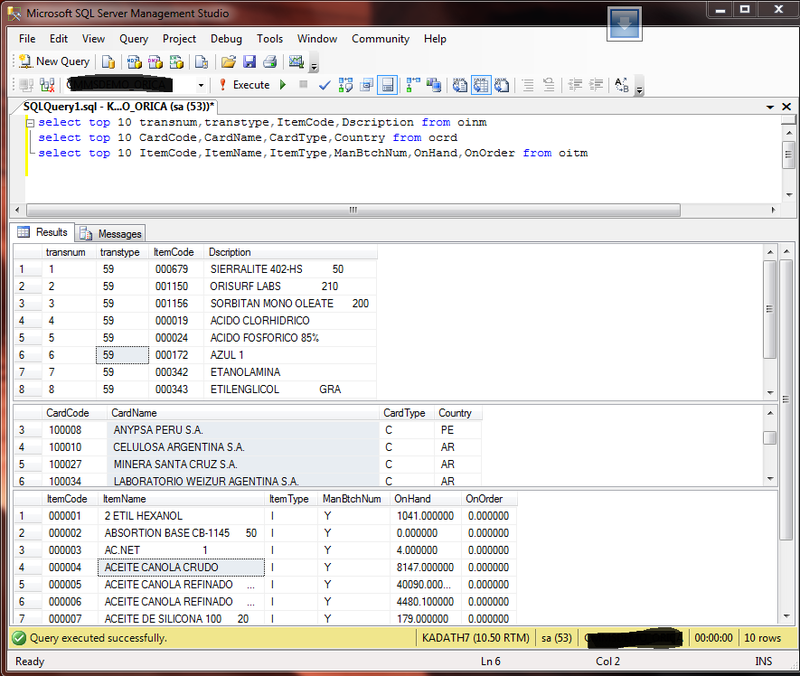 the key is to use the function NextRecordset and then assign it to any TCustomADODataSet descendent. AdoDataSet.Open;//Execute all the querys at once. Categories: ADO, Delphi | Tags: ADO, Delphi | Permalink. In the second loop “for i:=Low(SqlQuerys) to High(SqlQuerys) do” you have a condition “if i=0”. Shouldn’t this be “if i = low(SqlQuerys)”? Interesting piece of well-hidden functionality. Thanks! I am deseperatly trying to connect to PostGreSQL with ADO, but don’t manage to do so. I got a message telling me that i haven’t got any provider. Gwenael, I can help to solve issues related to this post or any post on my blog, but for this kind of questions try using a site like http://stackoverflow.com, remember add more details about the issue , including the source code which have problems.